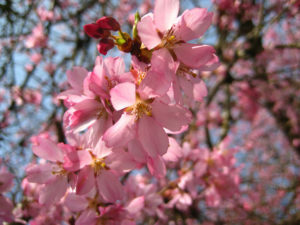 McSpaden Park is a great destination if you want to see Whitcomb cherry trees this week. You’ll find about ten trees planted along Victoria Drive. Part of the canopy hangs over the fence, offering a nice picnic spot. Besides cherry blossom viewing, there are also plenty of options for outdoor sports and a playground for the little ones. When I arrived on a cloudy Saturday morning, the crows were occupying the soccer field, the tennis courts were busy, and a dog walker was sitting on a park bench enjoying the view. Among the fallen flowers, I found a Whitcomb blossom with a petaloid. A petaloid is a small, unformed, sixth petal occasionally found on young flowers (such as Akebono). The petaloid usually falls off at an early stage, so you rarely see them. It was the first time I saw a petaloid on a Whitcomb flower. It was quite exciting… like finding a four-leaf clover. 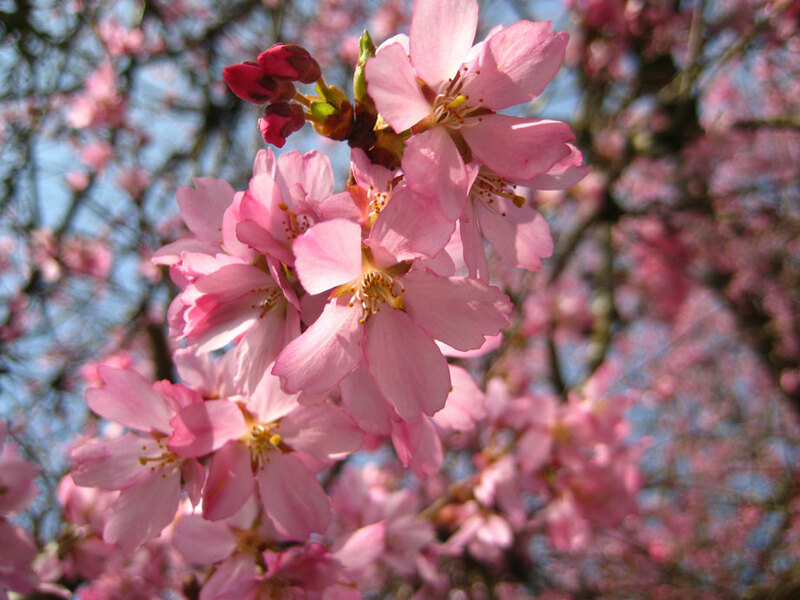 The cherry petals will start falling soon, so visit your local Whitcomb cherry trees this week. Find them on the neighbourhood map. Next: it’s almost time to see Accolade and Akebono flowers, so keep checking the Blog and Blooming Now page for more news. And don’t miss our Cherry Jam downtown concert under the beautiful canopy of Akebono trees at Burrard skytrain station on April 4nd.